How do I add Simple Export Rate™ to my Cratejoy checkout? 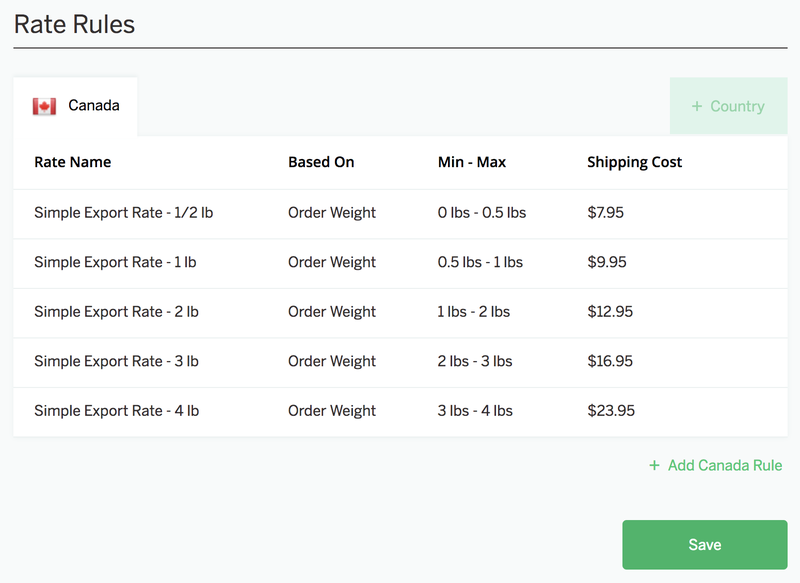 Pirate Ship Simple Export Rate™ offers a simple rate structure that makes it easy to know how much international shipping will cost, and savings that make it affordable to offer your products around the world. Worried about customs forms? Don't be, they're easy to fill out and are printed on the label. Learn how Customs Forms work here. 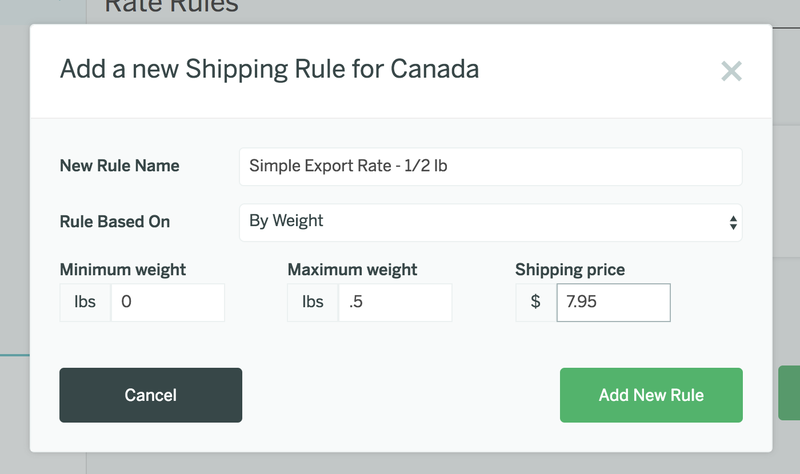 If you've built domestic shipping costs into your subscription's margins, make sure to remove that amount from the international rates to maximize your sales! Other country's postal services are not as good as the USPS®, so packages can go missing or get damaged. Depending on how much it costs you to send replacements, consider building insurance costs into your rate rules as well ($1.35 per $100 insured). Hit Save, you're done! These rates will now show up in your checkout for international customers, based on the total weight of the items in their order.